A contingent of 28 personnel from Mtibwa sugar SC has arrived at Entebbe International Airport ahead of the CAF Champions League game against KCCA FC on Saturday 15th December 2018 at StarTimes Stadium, Lugogo. The Visitors have vowed to win. 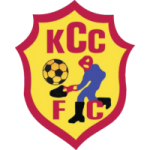 KCCA is a football club in Kampala, Uganda. Their home ground venue is Star Times Uganda Stadium. Mike Hillary Mutebi is the current coach for KCCA. KCCA are playing in CAF Champions League, Club Friendlies, Cup and Premier League this season. KCCA have played a total of 4 matches in Africa CAF Champions League. Their current statistics is 1 win, 1 draw and 2 lose. KCCA did not lose their last match in the competition. The overall results is shown by default. You can also analyze KCCA results for their home or away matches in CAF Champions League 2017. The graph shows the performance and results of KCCA in CAF Champions League. G. Sserunkuma is the leading top goal scorer for KCCA with 4 goals. We show you the ranking and league table position of KCCA in CAF Champions League . The team form can be derived from last 5 matches results. The results from the left is the latest. E.g. WWDLL means the recent match is a win. Detailed statistics of each KCCA player with their photo, nationality, jersey number, position and caps. If you want to bet on the players, you should see who are the KCCA top goal scorers and which players have a disciplinary problem with the the most yellow or red cards. Click on the players to get in-depth players’ profile. Such as the players’ age, place of birth, height, weight and his entire soccer career path.